Interesting insight into when an author is known for one title. It’s funny, I always felt that success like that would be like a dream come true. Imagine leaving your mark, your statement in one piece of work that is studied by students from that time forward. The Private War Of J.D. 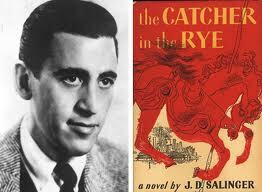 Salinger : NPR.